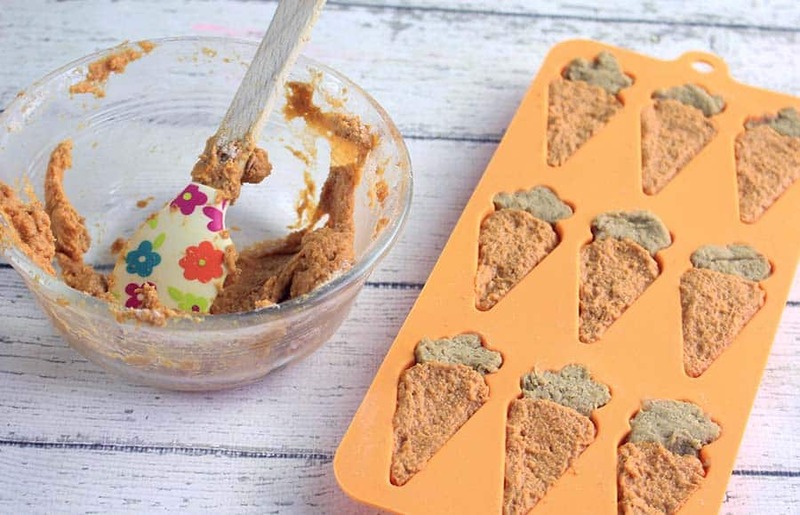 Your dogs will love these treats made from carrots! Y’all, I can’t make yummy treats only for the humans in my family! My pups need the best and yummiest treats, too. We used to go through a fair amount of treats each month but I’ve been making more and more of the treats homemade and saving! Not only am I saving cash, they are better for my pups. Only the best for those pups ;). 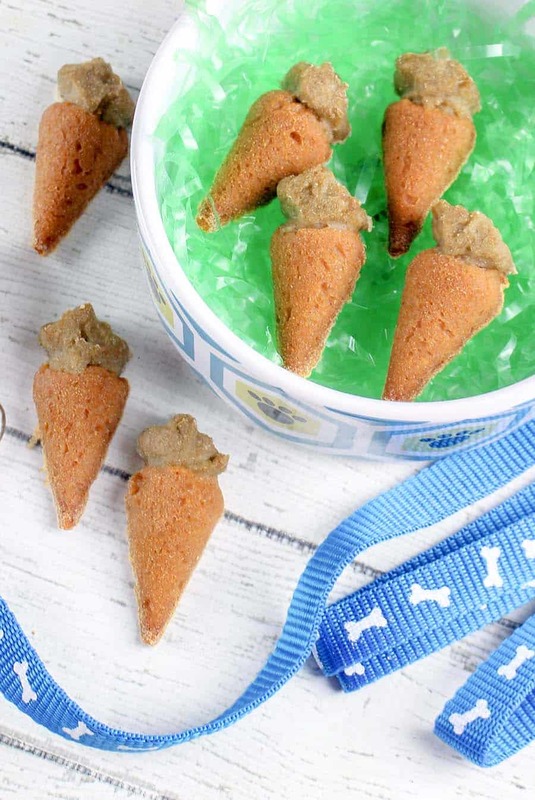 The secret to keeping these dog treats easy…baby food! Carrot for the “carrot” and peas for the “greens”. From there it’s simply a mix, mold, and bake. You can bake right in the mold! I make up a batch of these and keep them in the freezer door. The pups know that when I say “treat” they should head to the freezer and wait. The cutest! 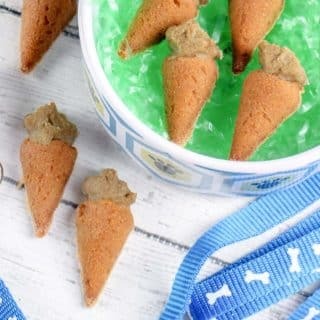 Have you tried make homemade dog treats? You’ll be amazed at how fast it is and how much money you can save! And, of course, those pups are eating the BEST! 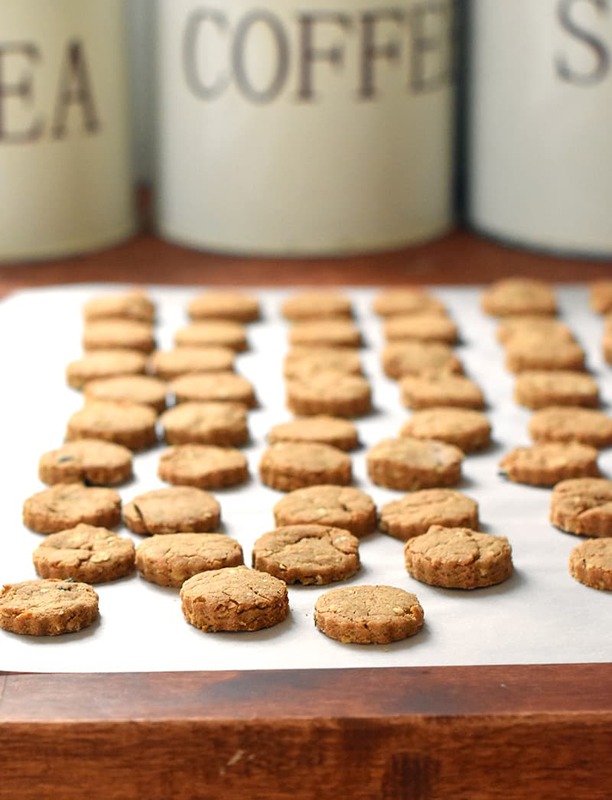 Check out my Calming Homemade Dog Treats ( our pup Newton is high-anxiety and loves these!) for another great recipe! Add 1/4 cup flour plus 2 Tablespoons to a small mixing bowl. Mix in all of the green baby food and stir until the flour is completely tinted green in color. Press the green dough into the top of each carrot mold, filling in as the greenery of each carrot. Set aside. Add the remaining flour to a small mixing bowl. 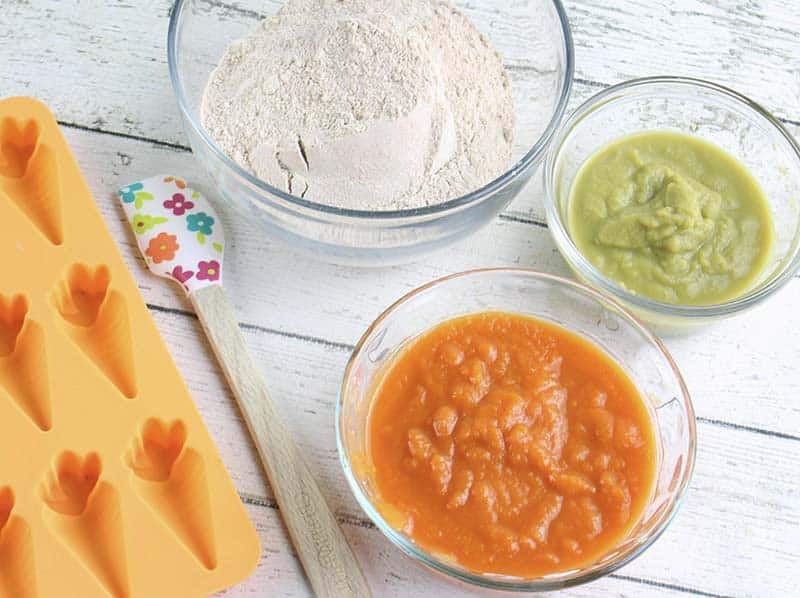 Mix in the carrot flavored baby food and stir well to combine. Fill the rest of the carrot shaped molds with the orange dough, pressing down lightly to even out. Place the silicone mold on a baking sheet and bake for 15-18 minutes. 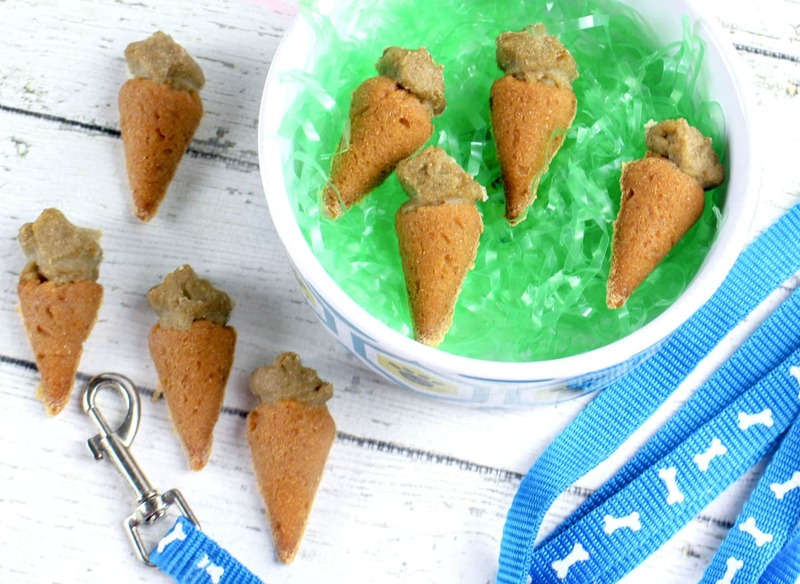 Allow to cool for at least 20 minutes before gently popping each treat out of their molds. *Store in the refrigerator for up to 1 week.